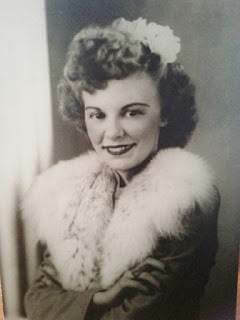 Nancy Gertrude Brumley is my mother and is the one who inspired me to take our genealogy passion to further heights. She was the first born child to John Leo Brumley and Nellie Opal Sells on December 6, 1920, in Kansas City, Wyandotte, Kansas. 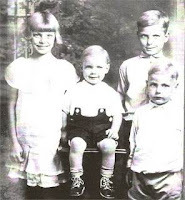 There would be four more children born to John and Nellie, Leo Isaac, John, Jr., Gerald Raymond and Shirley Ann. The family lived in several residences around Kansas City, Kansas. Her father was a carpenter by trade and her mother was a stay at home mom. Times were hard for the family during the Great Depression of the 30's and work was scarce for her father, but they made it work. They created their own entertainment by learning how to play musical instruments from their Brumley uncles. Her father would stand in the bread lines when food was scarce to provide for his family. They learned to count on each other as a family in the good times and the bad. This is a repost from 2016, I am starting up my blog again about my family genealogy. If you enjoyed this post please send it along the airwaves or email it to a family member or friend. I have discovered a few more relatives so I am looking forward to sharing what I know with everyone. This blog post is dedicated to Shirley Ann Brumley Stevens who was the last of this family to pass away. We shared our love of family genealogy and there were many phone calls trying to fit the puzzle pieces together but we vowed to keep searching no matter what happens to either of us. I love her and miss her.